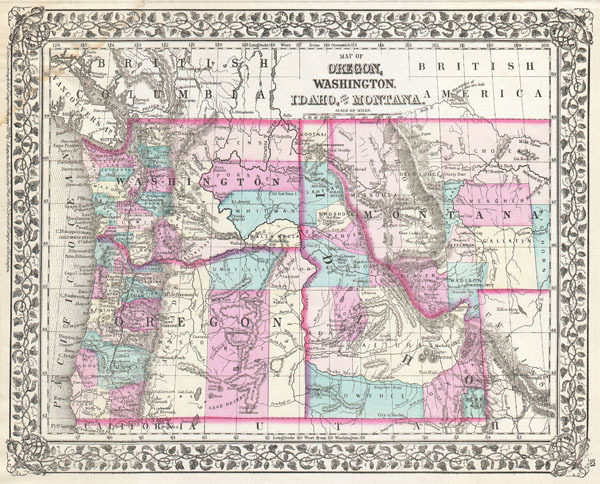 Map of Oregon, Washington, Idaho, and part of Montana. Mitchell's New General Atlas, containing maps of the various countries of the World, plans of cities, etc., (1877 edition). Good condition. Minor dampstaining to uppwer left corner - see image. Blank on verso.